The cover of a CD is always the visit card of a musician. 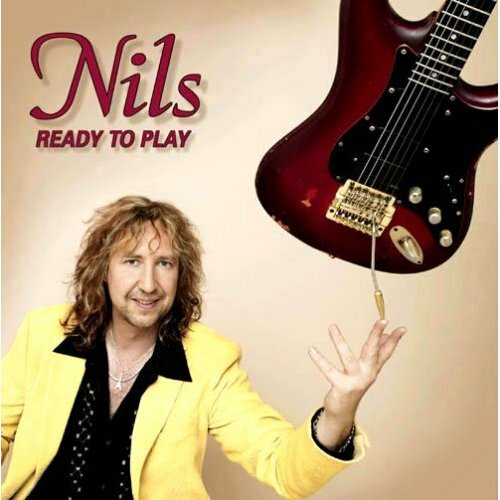 The cover photo of Nils new album Ready To Play (2007) gives the impression of ease. Nils is certainly no musical lightweight. He has worked with George Benson, The Temptations, Rick Braun, Gabriella Anders, Gerald McCauley, Norman Connors, Marcus Johnson among others. “As much as I’ve loved creating music in the studio all these years, I realized when I started to play concerts and festivals last year that I’d been missing the ying to my yang, so to speak. It’s been a wonderfully validating experience. I’ve enjoyed the travel and the opportunity to play for so many people who enjoy what I do. That’s the reason I started making music in the first place, to communicate, and it’s been so enjoyable to bring my music to a wider audience. I’m looking forward to getting out there again, and, like the title of the album says, I’m seriously Ready To Play.” This impetus is comprehensible. I never met an artist who didn't want to play his music. There is no conflict between a serious musician and the easiness of his music. “The most important thing I learned from the success of PCH,” Nils says, “was that everyone likes a good groove and you’ve got to make them move." Be the party king and impress your audience with your music. That's Nil's receipt. But how is his cooking? The title tune Ready To Play starts with a fresh guitar lick. Listening to the clean surface of the arrangement one quickly recognizes that this tune is designed for smooth jazz radio stations. Anyway Nils has a flowing perfect style and his skills are undeniable. Just Smile has a pleasant melody with accessible potential. Besides this Nils lets his guitar shine with rapid chords. My favorite on this album is Catnap. Although laid-back performed the infectious melody creeps into your brain and is hooking. This is quality stuff like Rick Braun's Notorious. Nils is a multi-instrumentalist. He plays guitars, organs, keyboards and is also an experienced programmer. The uptempo Midnight Breeze is a good example for his chops. Sunrise on Sunset has the same cool elegance as his predecessors. You Gotta Be was originally written by Des'ree for her album I Ain't Movin' (1994) reaching the U.S. Top Five with this song. It's a strong song and Nils encompasses this power in his guitar version. Dreamin' is perfectly arranged with great contributions of keyboardist Leon Bisquera, percussionist Oliver C. Brown and Robert Vally's bass. Impressing guitar licks on an uptempo head bopper beat. My Girl is the second cover on this album, penned by Smokey Robinson and successfully performed by The Temptations on their second LP The Temptations Sing Smokey (1964). Nils isn't using a beaten path but goes off roads with a wilder choir arrangement. Clydene Jackson, Terry Lynn Wood and Carmen Twillie are the three suspect persons. Clydene is best known in the music industry as a first-call session singer, you've most certainly heard her singing on platinum records by Rod Stewart, Barbara Streisand, Michael McDonald, Patti LaBelle and others. High Five has a stellar band with solo additions of Nils, Clydene Jackson (synth) and Alex Al on bass. I recently saw his brilliant performance on Clarke's Night School. Only You has a more melancholic mood, well supported by Dove and The Lovestar Strings. With Hurry Up And Wait Nils introduces some edgy funky elements into his album. The bridges smooth out this temper. Nils co-wrote this track with keyboardist Bisquera. Last Night tells a nice story. Personally I love it when Nils expands the length of the melody instead of performing short riffs. Nils will certainly repeat the chart-topping result of his previous album Pacific Coast Highway. His new album has the same appeal to attract listeners of smooth jazz. On long distance he will have to change his concept to gain a greater community. While the dark clouds of torrent downloads are rattling the sabers innovations are overdue and essential.